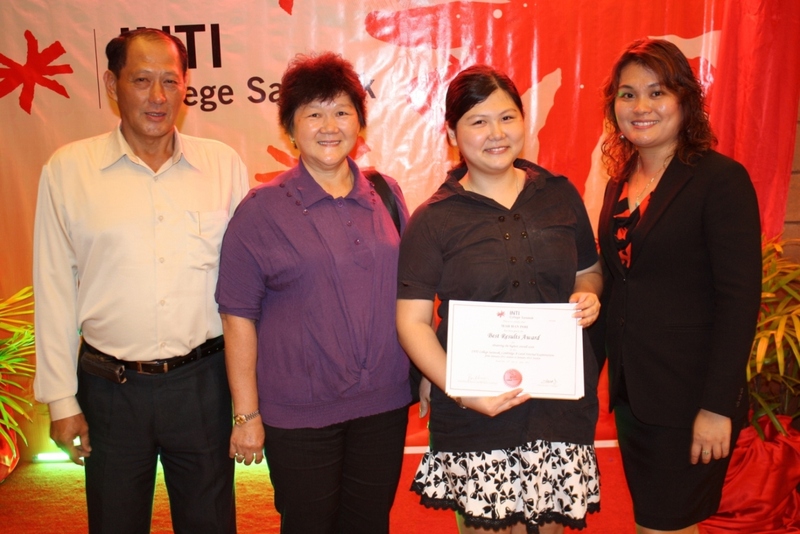 Mah Han Poh was presented the Best Results Award as the top student at INTI College Sarawak in the November 2011 Cambridge Advanced Subsidiary (AS) Level external examinations. The former student of SMK Tung Hua, Sibu, also won the Best Results Award for achieving the highest overall score in INTI’s Cambridge A Level internal examinations. Receiving her awards at INTI’s Completion Ceremony, Mah, who intends to pursue a degree in Pharmacy, attributed her success to a disciplined approach to learning which included daily review of her course work and the guidance of her lecturers. Mah Han Poh (left) with Ivy Lau. “We are proud of our daughter’s achievements in the Cambridge A level programme. Two of our other children are also graduates of INTI College Sarawak. This is a reflection of the confidence and trust that we as parents have in INTI College Sarawak with its long tradition of providing quality education and track record of academic excellence,” said Mah’s parents, who were present at the ceremony. 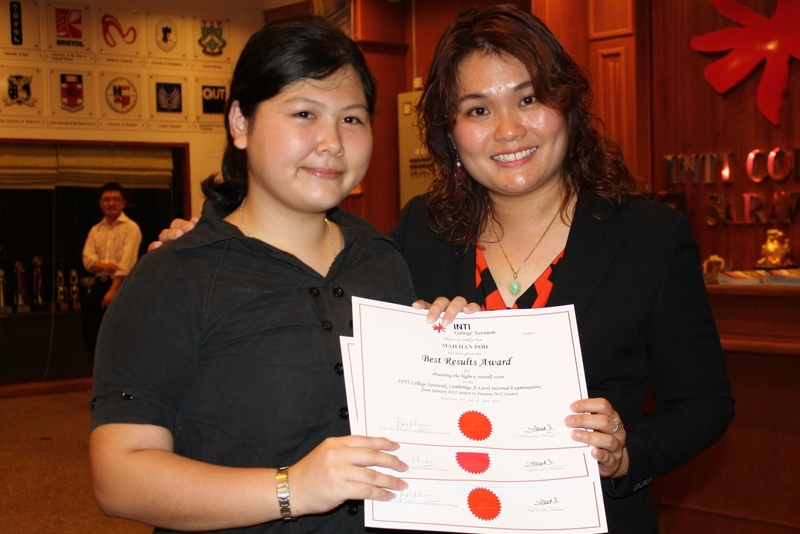 An impressive 37 percent of INTI College Sarawak’s Cambridge A Level students obtained at least 3As in the October/November 2011 external exams. For Ivy Lau, Chief Executive/Principal of INTI College Sarawak, her students’ track record of excellence in the Cambridge A Level is a point of pride and a beacon of inspiration for other students. Mah Han Poh (3rd from left) poses with her parents and Ivy Lau (right). “As one of the most recognized pre-university qualifications around the world, the Cambridge A Level provides students with a wealth of options, right from having the opportunity to gain entry into many of the best universities in the world and studying a wide range of professional courses, to equipping students with reasoning ability and thinking skills when they embark on their degree courses. For those seeking a gold standard pre-university qualification, the Cambridge A Level at INTI College Sarawak stands out as the programme of choice,” said Lau. INTI’s Cambridge A Level programme is now open for enrolment and classes will commence on July 9, 2012. For further information, please call 082-570888 or visit INTI College Sarawak at Jalan Stampin Timur in Kuching. The college will be holding its Open Days on June 30 and July 1, 2012 (from 10:00 a.m. to 5:00 p.m.).